يحظى فندق Maldives Resort بمكان متميز في محور جولد كوست سياحة, مطاعم, شواطئ في منطقة ماين بيتش الفاتنة. يمكن من هنا للضيوف الاستمتاع بسهولة الوصول إلى كل ما تقدمه هذه المدينة النابضة بالحياة. بالنسبة لمن يريد الخروج، هذه بعض المعالم السياحية المتوفرة للزوار ماين, Cheyne Horan School of Surf, 1st Wave Surfing. إن الخدمات الممتازة وحسن الضيافة العالي في Maldives Resort تجعل إقامتك تجربة لا تنسى. يقدم الفندق تسجيل وصول/خروج سريع, تخزين الأمتعة, واي فاي في المناطق العامة, صف السيارات, التوصيل من وإلى المطار لضمان الراحة القصوى لضيوفه. ادخل إلى واحدة من الغرف 20 وتخلص من عناء نهار طويل بمساعدة مجموعة كبيرة من الخدمات كمثل تلفزيون بشاشة مسطحة, غرف لغير المدخنين, مكيف هواء, تدفئة, خدمة الإيقاظ الموجودة في بعض الغرف. صممت خدمات الاستجمام في الفندق والتي تتضمن مسار جولف - ضمن 3 كم, حمام سباحة خارجي, سبا, تدليك, حديقة لمساعدتك على الاسترخاء والراحة. يشكل Maldives Resort بخدماته الراقية وموقعه الممتاز، قاعدة مثالية للاستمتاع بإقامتك في جولد كوست. لا يتم تقديم أي خدمة يومية في هذه العقار، وسيتم خدمة الغرف مع تغيير المناشف في الليلة الثامنة للإقامة. This apartment had great views, was large and fantastic location. Staff were also very helpful and pleasant. The only thing I could suggest for improvement was the situation with the cooking stove and toaster as you needed to turn on the air conditioning on in order not to trigger the fire alarm. Thank you Anni for the feedback. We are very pleased you enjoyed our glorious views and location. The resort and room was clean. Staff friendly. My only complaint was that we were expecting a full kitchen as advertised. Would have been nice to have an oven and dishwasher. But overall we had a very pleasant stay. Will be returning. Value for money. Clean hotel. Underground car park is very convenient. Location is great, close to Tedder Avenue and the beach,walking distance. Disappointed with the cleanliness, I don’t think our room has been dusted for months (air conditioning vents and ceiling, carpet is aged and requires a good clean. Find someway else to stay. The room was perfect for our short trip away, very comfortable with aircon. GREAT wifi in the room! Foxtel/Austar with lots of sports channels for my husband. The pool was refreshing with plenty of lounges. Secure underground parking with easy access. Great location near the mains trip of restaurants and shops. Thank you Suzanne, we are pleased you enjoyed your stay at Maldives Resort and hope to see you again. We enjoyed our stay at the Maldives resort. The resort was easy walking distance to the beach, shops and shops. Cafes and nice eating places were within walking distance. 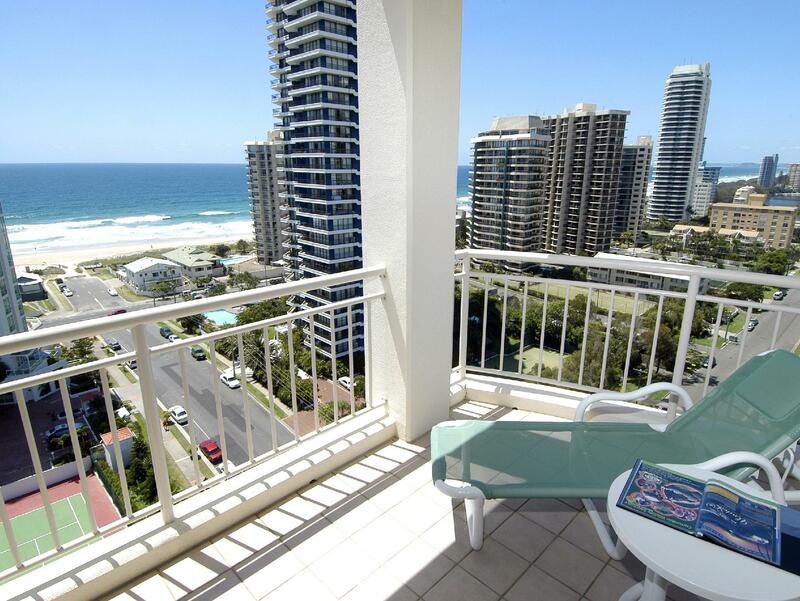 Main beach is conveniently located between the Spit and Surfers Paradise. We would recommend the resort for a couple of days away to rest or be active. Love this little one bedroom apartment. A touch of Paris De’cor. Nothing bad about this resort or the apartment and it’s presentation but the cleaners could be a little better cleaning the shower and shower glass. When I wiped the water from the glass using the white towels supplied, a thick smear of mold came off onto the towel. Thank you Kelly, we will discuss the shower issue with our cleaners. Maldives is a lovely resort, very close to the beach, and very well run. 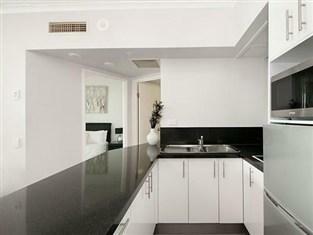 We had a lovely unit on the 12th floor, which was spotlessly clean and very well appointed. I highly recommend Maldives for value for money, cleanliness, management, and location. Comfortable unit in a quiet area with pleasant views. Some distance from shopping centres, but bus stops close by. Only a block away from beach and a 7Eleven store. The one complaint would be that air conditioning vents in laundry/bathroom had dust hanging out of them and needed a good clean. Short walk to beach, restaurants & shops. Great pool. Apartment was perfect & had a great view. Would highly recommend a stay here. Everything perfect! Given that I was only there for one night I was not looking for much however as the Unit faced East the weather was hot and A/C was a necessity but it was loud and blew FLUFF not cool air. Everything else was adequate but no sleep in after a big night did not have me in a happy place. Dear Rohan We are sorry that you were disappointed with Maldives Resort even after we had tried to address all the issues. We do specify on the Resort information that we are 20 years old and our rates reflect this. Might we suggest a newer resort for any future travel. Very glad we decided to stay at Maldives. Very close to Seaworld and walking distance to Surfers and Southport. Would happily stay there again and probably will. Thank you Kristy, we do hope you will visit us again. Very pleased that you had an amazing time at Maldives Resort. Situated at Main Beach, resort is just one block from both the sea front and also a great local dining precinct. We had great 180degree views of the beach, the river and the resort pool and gardens from our north facing 9th floor, ocean view, 1br apt. 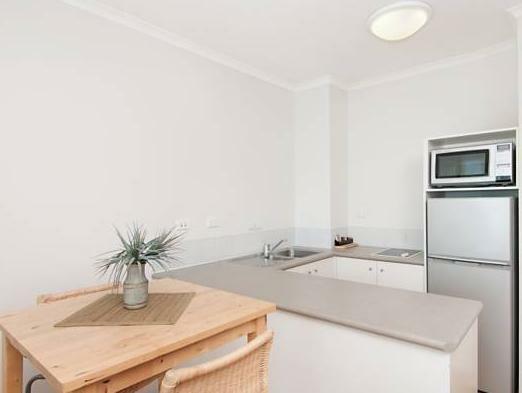 The unit was comfortably furnished and thoughtfully stocked with all the necessary appliances, linen, kitchen ware and equipment needed to enable a stress free stay for guests. The apt was impeccably clean, as were the other public spaces indoors, including the secure car park. Outdoors the pool and BBQ areas were tidy, sparkling and nestled neatly within the clearly well maintained resort gardens. The female staff member that greeted us at check-in was superb and served us in a polite, friendly, helpful, knowledgeable and sincere manner. Well done Maldives Resort, what a lovely holiday destination and thank you to the superb staff. See you again soon. Thank you Kylie for your positive review, we are so pleased you enjoyed your stay with us. And we would love to see you return. We are locals here and in between moving into our next home so we are here for a couple of weeks until settlement. It's a great place, 1 minute walk to the beach and cafes and restaurants galore. Would definitely recommend to anyone that this is the place to stay. Just a lovely village atmosphere and so close to Surfers. 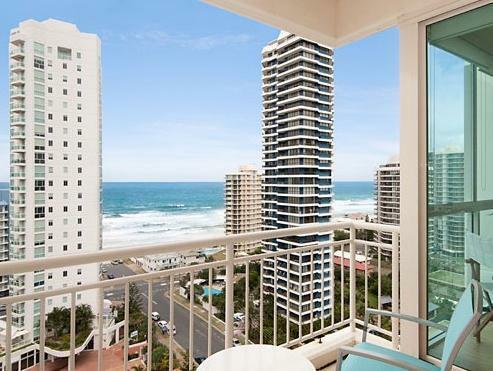 A short walk to the light rail and then you can catch to Surfers or Broadbeach for the night life or shopping. The ocean view room have an awesome view. Good size swimming pool and BBQ area and heated spa. Maldives has a great location and the room we were in had an excellent balcony with great ocean views. Reception hours are rather short at the weekend and there is nobody around for afternoon check in, though the locked box works reasonably well. Rooms are a good size but we had to make up the extra bed ourselves (despite being charged for it). The bathroom was rather tired.